Motherwell have made an offer to sign prolific Dunfermline Athletic striker Faissal El Bakhtaoui for next season. The French-Moroccan striker, who is out of contract in the summer, was voted PFA Scotland's League One player of the year. The 23-year-old has been linked with a number of clubs after scoring 30 times this season. 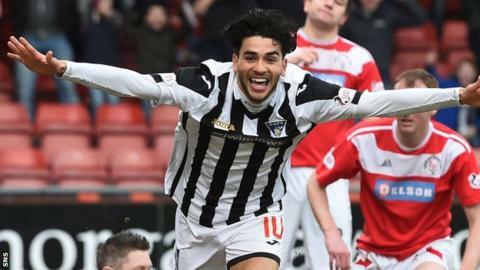 El Bakhtaoui has been at East End Park since July 2012 having been signed by Jim Jefferies. He had previously been with French club Racing Club de la Baie.